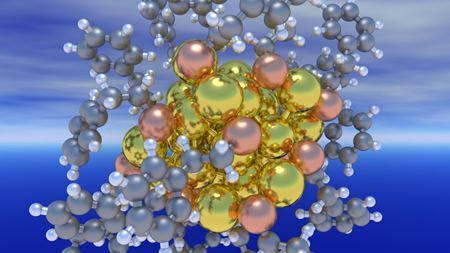 'Thermodynamic stability’ theory says nanoclusters will only be stable if the core cohesive energy is balanced by the core-to-shell binding energy. New approach integrates liposomal technology with ‘smart’ hydrogels that are responsive to NIR light. Scaffold consisting of freeze-dried conductive PEDOT:PSS supports survival, growth, and differentiation of osteogenic precursor cells. Using a coating of conductive polymer, scientists have come up with a new technique for creating electrically heated clothing such as gloves. A new 2D film made of polymers and nanoparticles can direct two different non-mixing liquids into a variety of exotic architectures. A polysaccharide polyelectrolyte complex made from cellulose and chitosan could replace plastic barrier coatings in packaging. A novel fabric-like material electrode could help make batteries and supercapacitors faster and less susceptible to leaks or meltdowns. Frictional, structural, and mechanical studies of hind leg femur-tibia joint of katydids reveals novel antifriction and antiwear properties. Novel filler for polymer composite used hollow glass microspheres and carbon fibers to bring unique combination of properties. Polymer-coated gold nanocages loaded with active agents modulate telomerase activity. A polymer ink for 3D printing that expands after it solidifies can produce printable structures that spontaneously fold themselves up.